Design your own photo overlays, scrapbook pages, greeting cards, and party printables with these easy-to-use doodled frame clip art shapes. Use this set of 9 individual digital clipart embellishments to create custom party decor for a boy or girl's birthday party, baby shower, bridal shower, wedding, or other occasion. 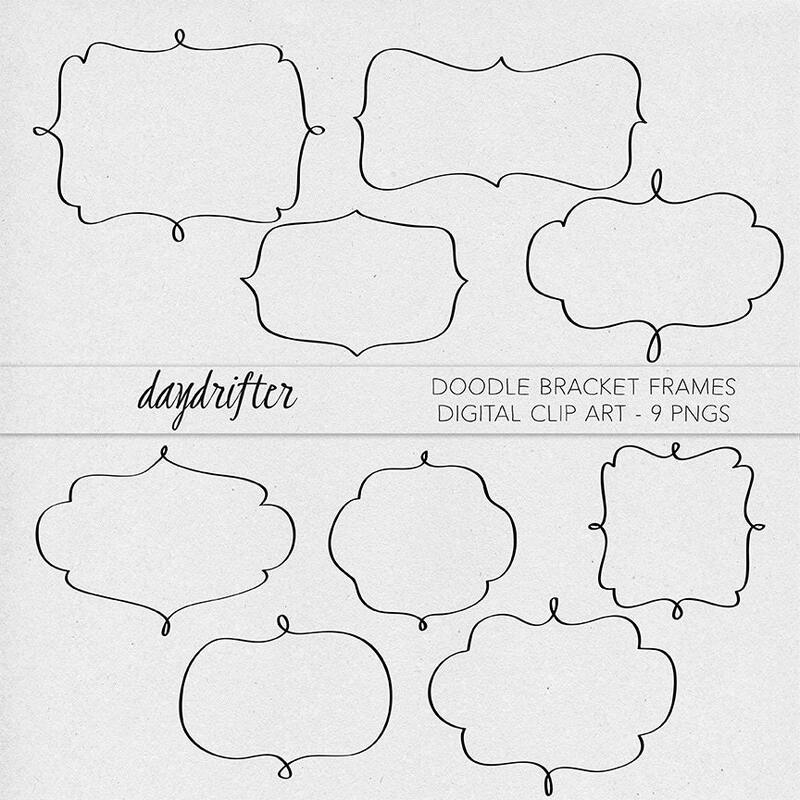 You can use the clip art frames as stickers, labels, elements in your digi or hybrid scrapbooking, card making, and more! We provide 9 individual, high-resolution (300ppi) PNG files that work in most photo editing programs. Colors can be edited in Photoshop, or contact us to create custom colors for you! Works great! Will purchase again.